There are just some foods that are gender specific. I mean women are typically all over wine and chocolate and men pizza, chicken wings, and beer. Not that I don’t mind a slice (or two) of cheese covered pizza every once and awhile, but I have a major sweet tooth and need to satisfy that chocolate craving more frequently. Today’s recipe falls more under the masculine umbrella of food. 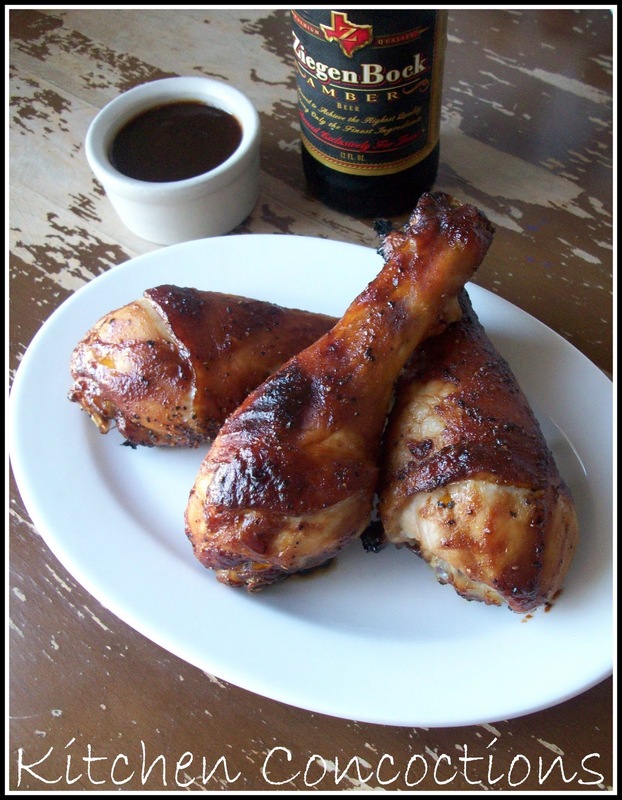 These chicken drumsticks are man food because they are sticky and messy and have Bourbon in the sauce. And I am not saying that us women folk can’t enjoy these, because I certainly did! But serve these up to the man in your life with a beer, some French fries or corn nuggets (another total man food that I had never heard of until recently, deep fried creamed corn) and the they will be a very happy camper! Preheat oven to 375 degrees. Line baking sheet with aluminum foil. Melt butter in large saucepan over medium heat. Add next 6 ingredients, 1/4 teaspoon pepper, and chili powder. Reduce heat to medium-low; simmer until sauce thickens, about 15 minutes. Stir in bourbon; cook until heated through, about 3 minutes. Season with salt. Divide sauce in half in two equal portions. Mix 1 1/2 teaspoons salt and 1/2 teaspoon pepper in bowl and season chicken. Place chicken on prepared baking sheet. Spoon about half the prepared sauce over the chicken (save other half of sauce for dipping after chicken is cooked). 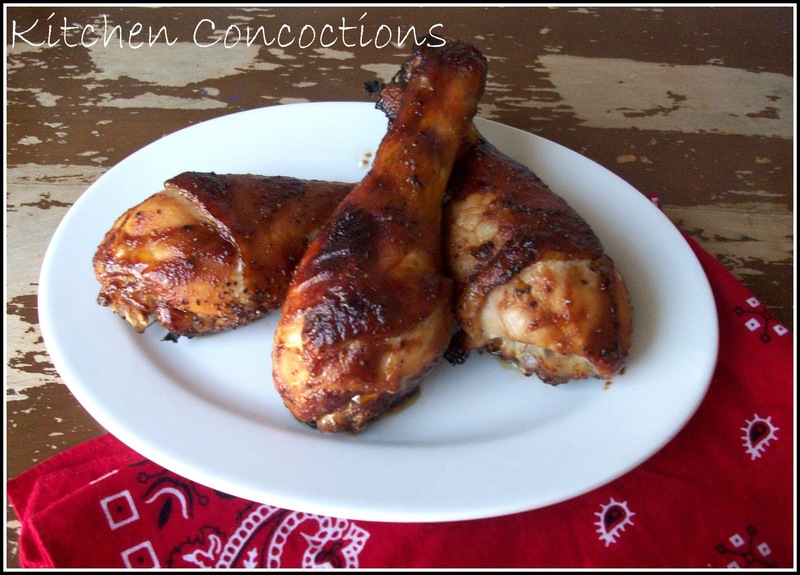 Bake chicken for 40 minutes or until no longer pink. Serve with reserved sauce.